This innovative and well-known brand became so popular and successful due to the designer’s unique talents to guess what people will like to wear tomorrow, as well as to successfully translate styles and designs from the adult collections into children’s fashion. Little Marc Jacobs’ clothes come in sizes to fit babies to 12 years old children. From casual and urban or street wear styles to more formal and classy pieces, gorgeous dresses and shoes, the brand defines its style as “luxury from birth”. However, “luxury” doesn’t simply mean something expensive, it’s mainly about the quality of materials and tailoring, as well as the way your kids enjoy the clothes and feel good while wearing them. Little Marc Jacobs’ clothes are colorful and fun, with lots of creativity, original details, humorous designs and prints, yet practical and often multi-functional, like reversible down jackets with removable hood or sleeves, for example. Along with signature style printed t-shirts, sweatshirts and dresses, stretch denim pants, coats and skirts, you can buy Little Marc Jacobs shoes and accessories as well, to match or accentuate those great clothing items and outfits. You will probably secretly wish adults could wear clothes and accessories that were this lovely. LITTLE MARC JACOBS is one of the most successful American brands that was launched in 1984 by a famous designer Marc Jacobs. Originally it was focused on fabricating clothes for women only that attracted the view of many fashion houses of that time. After some years a men collection appeared, and only in 2005 Jacobs created a luxurious collection for kids. 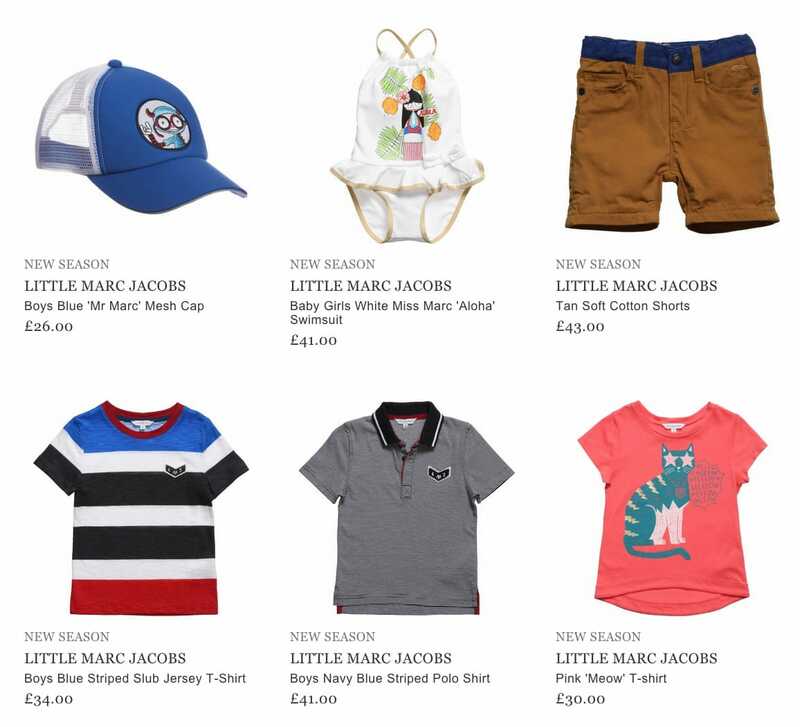 Now babies, young children and teen aged up to 16 years can enjoy the stylish products of LITTLE MARC JACOBS. It has an extraordinary style, which is adored by many kids. The manufacturers use bright colors and funny prints to add some chic to the whole look. The main feature of the American brand is embroidering their items with animal images in different styles, such as lions, birds, monkeys; or just using Mr Marc character as a logo of the brand. Besides, the designers guarantee to children and their parents high quality of their products. They tend to tailor clothing from 100% cotton, denim, silk, leather fabrics. Special collection of fancy accessories is also represented. Boys can enjoy a variety of woven and leather belts, and girls are offered delicate hair bands. 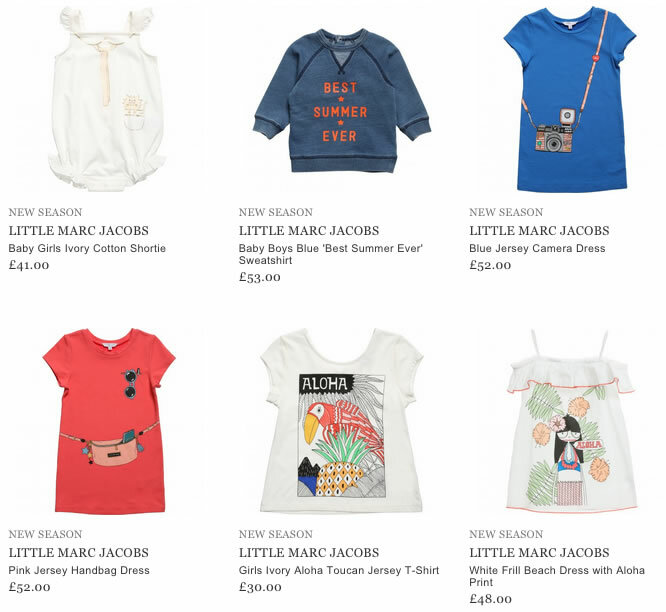 Today the products of LITTLE MARC JACOBS are available for purchasing online.